I know I don't seem like much, but if I don't know how to do something I can learn pretty quick. As a rule of thumb, always keep backups of your files. I like to save my mods to multiple different x2ms whenever I make changes to them. Just in case I mess anything up. 1: Go into the skillcreate tool. 2: At the top of the window, you'll see "Tools". Click that and "Import Skill Directory". 4: Switch over to the "Files" tab. 5: Set the "Skill files:" to the folder you chose. 6: Switch over to the CUS tab. At the top right you'll see "Copy". Click "Copy" and choose "From game". Choose "Purification - MAP - 25004 [AWAKEN]". 9: Fill out the info for the transformation and save it, but don't install it. 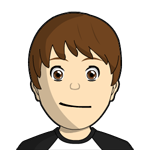 10: Go into the characreat tool. 12: Then in the slots tab, create a new slot. 13: Name the costume "TRANSFORMED PRESET - IGNORE PLEASE" without the quotes. Or something like that. Something telling the user to ignore it. 14: Change the Model preset for that slot to 1. 15: Then go to the CUS tab. 16: And go the slot that you named the transformed preset. Choose what you want your transformed skillset to be. 18: After that, you should be able to save, install, and test. Let me know if this tutorial is hard to follow or needs work. I just want to give a quick thanks to Rai. If he wouldn't of helped me with a transformation I was making for my character mod "Atrasu", this tutorial probably wouldn't exist. What I found, is that not only can only model swap once, but it breaks any transformations after that which rely on a specific partset. Though I did find out that everything else works. I also found out that you can specify a specific partset of the character you want to transform into. 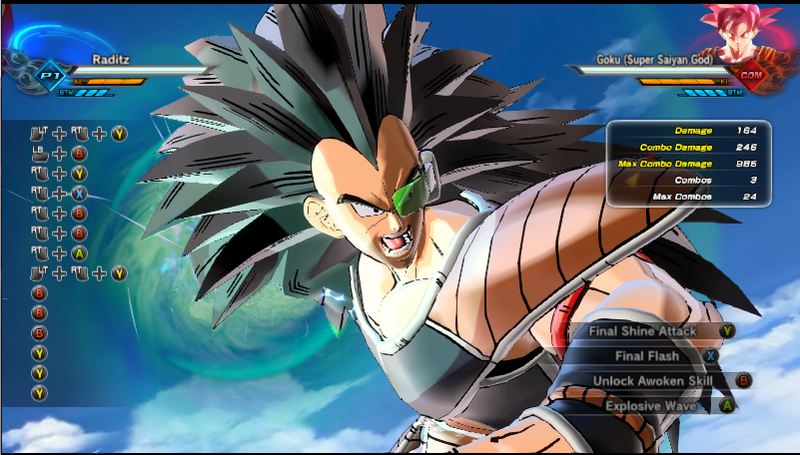 For example, Masked Saiyan is Bardock's model, but his 3rd partset in the bcs. So with Purification, you can specify model 1 partest 3 to transform into Masked Saiyan. Last Edit: Aug 4, 2018 4:21:55 GMT by goodorbadash: Added additional research. Thanks for the great tutorial - it worked perfectly for me. I want to create an awoken Skill that changes the skillset for my CAC - So not a roster character, my actual CAC - Is this possible? and if it is...how do I do it? I think this might work, let me take a look at at "custom_skill.cus" for a while. It seems like this is where the slots are controlled (including model presets). Maybe it could be possible to add an extra entry in there for the race of your current CAC. Let me look into this more. I'm working on this mod for SYM. Basically, you use purification to transform into Raditz. It changes your model, moveset, and skillset. Then, when you un-transform, you expect to go back to SYM right? Wrong. The Super Saiyan awoken get put into your awoken slot instead. 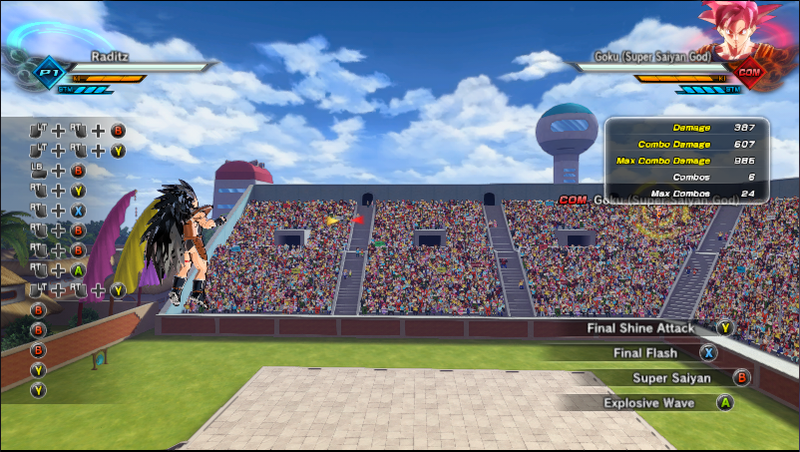 I have made a custom model and it is for a Yamcha mod. This was a super helpful tutorial. Managed to get mostly everything to work the way I wanted, however I was wondering if there was a way to change the VOX of the character you transform into? It sounded weird having the original character's voice with the new one's body. At least I figured out how to use Blender. I don't know. I'll have to look into that. I'm sorry, I completely skipped over your comment. Whoops. Anyway, I've never worked with Turn Giant. I'll have to look into it. Don't worry about it. I'll figure it out and make a tutorial for it. 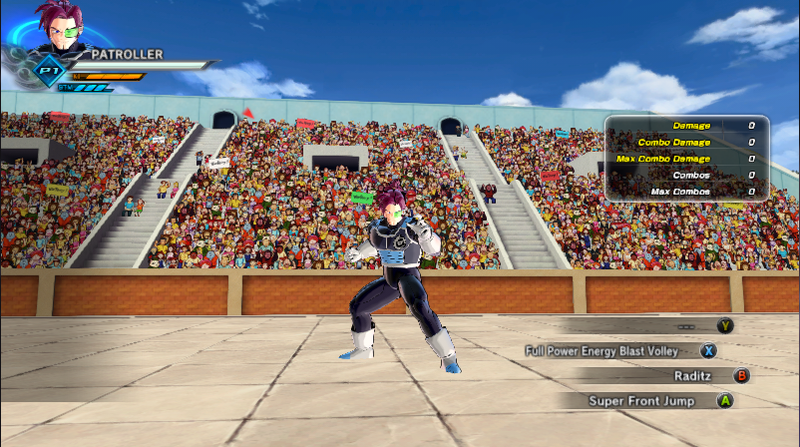 Notice: My "Roster Character to CAC" tutorial is almost finished. It will be up on here soon! Just tried to get a mod working to have Bardock transform into the Masked Saiyan version of him but since the Masked Saiyan essentially is Bardock I can't pick his model because it will probably just turn Bardock into Bardock. Ugh. You can do that. After choosing the model for Bardock (which is "1") you can specify the partset of the bcs of that character to transform. On the top-left side of the CUS tab, you'll see a box labelled partset. Put the number 3 in there. Huh. Thanks, I should have probably thought of that. Is there a way to make the characters double transform? For example, I use your tutorial to have goku transform into Suoer Saiyan 4, can I then make Super Saiyan 4 Goku transform again into Super Saiyan Blue? I'm trying to do this but to no avail. From what I remember, you can only change the model once. 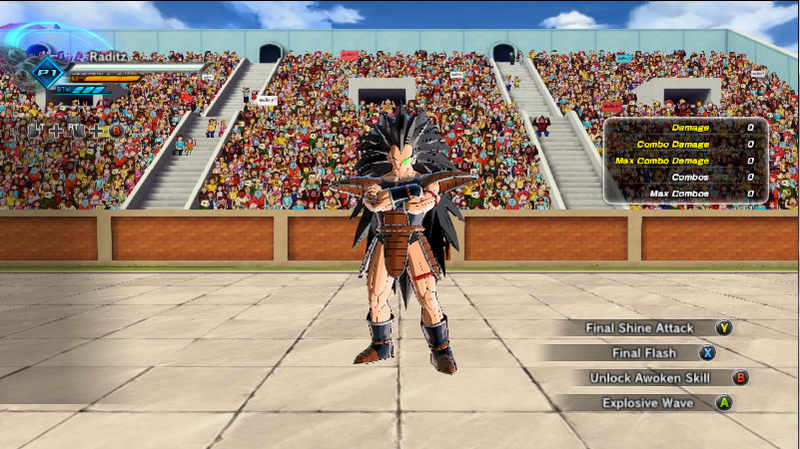 You can change textures though, so something that would be possible is Goku > SSJ4 Goku > SSJ4 Blue Goku, I guess. I wish I could say you could fix your issue just by making an awoken to swap partsets, but Goku's forms are separate character files altogether so that's not possible. Starting to mod... very confused. I have a few questions. I've been playing around with this method for a new mod I want to make, but can't seem to get it to work properly. First, how would I go about making one character with multiple costumes but all have this transforming ability? Doing so seems to break it, such as making all the transformations default to one costume's moveset. Is this possible, or will I just have to make multiple characters and the user would have to append them all to one slot? Second, how would I make the base character transform into a certain character's specific costume? For example, how would I do Base Character -> Vegeta (Costume 7)? Third and final question, how do I put multiple awakening skills in? Such as, Base Character -> Goku -> SSJ -> SSJ2 -> SSJ3? For Goku specifically I managed to make some weird things happen. First of all, he starts off in transformed state. 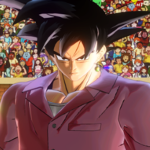 Instead of having to do Base Character -> Goku he just loads in as Goku. Second of all, when going Super Saiyan his hair changes color, but that's it. His actual hair doesn't change. Even in SSJ3. This might be due to the skill I'm using, and if it is, I'm using GS4 currently. I'm sorry if I'm being too vague, it's just that from what I've seen no one has done this mod yet and I want it to be unique. Edit: I found the answer to question 2. Edit 2: I found a workaround for question 3, but his hair still doesn't change. Man would it be possible to make a transformation like first form cell,second form that is mod and have same esk and animtion as first form so its just transforming different parstset and textures and then model swap to perfect cell?